The Canadian government is launching its own agile digital service organization following similar efforts by the US, the UK, Australia, New Zealand, and Italy, according to Government Computing. The Government of Canada has an opportunity—and a responsibility—to deliver world-class services to Canadians. This will require disruption as we make the switch, both technically and culturally, to agile digital delivery models. 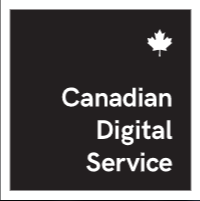 To accelerate these efforts, I am excited to announce the launch of the Canadian Digital Service (CDS) to modernise the way the Government of Canada designs and delivers digital services.